What is Roots to Rise? Roots to Rise is a foundational learning initiative which involves grouping students according to their learning level and teaching basic literacy and numeracy skills. Based on the Teaching at the Right Level approach pioneered and rigorously evaluated by Indian NGO Pratham, Roots to Rise deploys a unique model which unites school and community actors in pursuit of better learning outcomes. Ugandan children are leaving primary school without the crucial ability to read or perform basic math. A study by Uwezo Uganda found that 61% of Ugandan students in 3-7th grade couldn’t read a simple story and 48% couldn’t perform basic math operations. When students are attending school, but aren’t learning basic skills, both students and their parents form negative views of the value of schooling. In fact, only 35% of learners complete primary school, dropping out of school before they can master essential foundations of learning. ...leading to only 5 out of 10 learners completing primary school. These results are partially due to overcrowded classrooms, where teachers must manage a wide range of ages and abilities. Struggling students are consistently left behind as teachers struggle to address the variety of learning levels within their cramped classrooms. The result is that students are promoted to the next grade despite not mastering basic skills. Click on a graphic to learn more. Assess students and facilitate lessons. 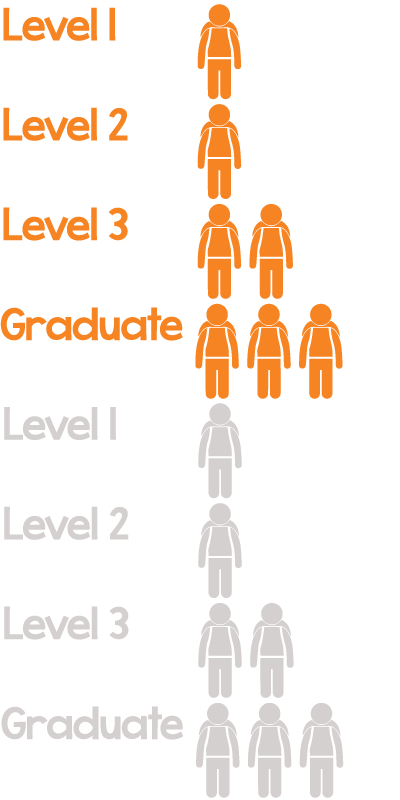 Coordinates all participants to ensure all roles are being fulfilled successfully. Government-employed teacher trainers known as Center Coordinating Tutors (CCTs) provide mentoring on effective teaching methods. Roots to Rise has helped students learn foundational skills, boosting their confidence and renewing their faith in the value of education. One such student is Katushabe Hadijja. Before Roots to Rise, she could not read, but after just 25 days of lessons she went on to win first place in her county reading competition! 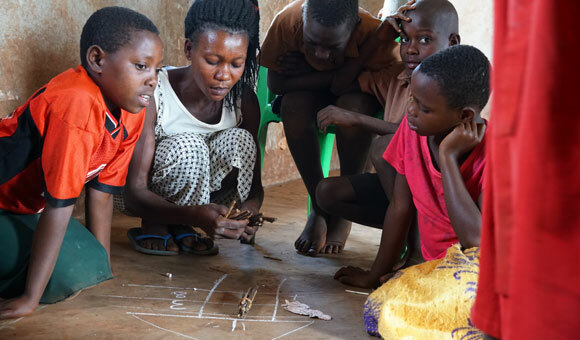 From June-December 2018, Building Tomorrow conducted a Roots to Rise pilot, based on the Teaching at the Right Level approach, and tailored for Uganda’s rural primary schools. The results were remarkable gains in learning outcomes. 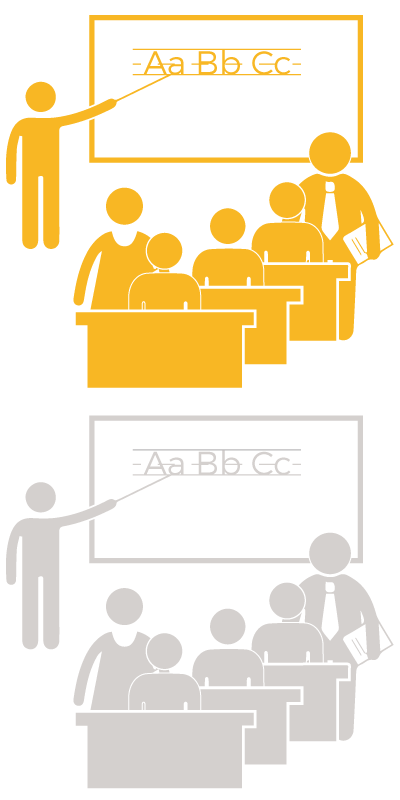 At the beginning of the literacy pilot, 85% of students were at the Beginner Level: unable to read basic words. After only six weeks of lessons, 78% of students had moved up at least one literacy level, and 25% achieved the ability to read and comprehend a short story. 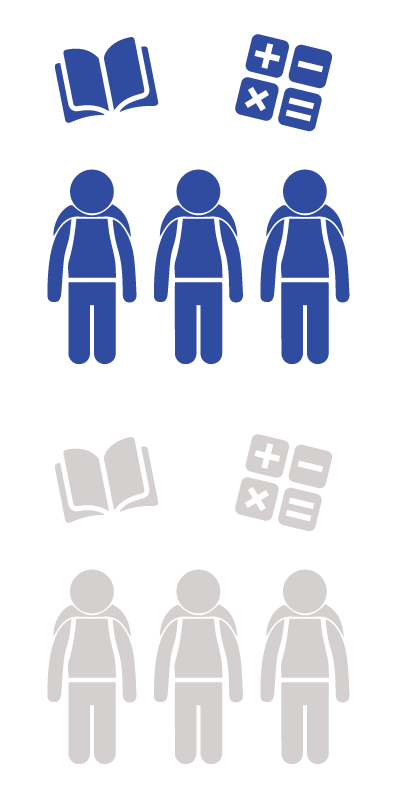 In the numeracy pilot, 52% of students started in Beginner Level, meaning they were unable to perform basic addition and subtraction. After only five weeks, 95% of students had moved up at least one numeracy level, and 56% had mastered all operations, including addition, subtraction, multiplication, and division. Roots to Rise unites school and community actors to create a sustainable approach to improving learning outcomes. Teachers are engaged in a new teaching strategy, learning valuable new pedagogy. CEVs, change agents who are recruited from within the community, serve as trained aides in the classroom and community mobilizers who engage community members at home, at church, and around town. High quality implementation is also promoted through oversight from head teachers and government-employed CCTs. Fellows serve as the link between all of these participants. They ensure each actor fulfills their role, and becomes invested in the initiative. Fellows build these foundations that enable the impact to continue even after a Fellows’ placement has ended. Roots to Rise is a radical departure from the static approach of typical Ugandan classrooms, where students sit at their desks and receive didactic lectures. Instead, Roots to Rise employs a child-centric approach, where students are free to explore activities for themselves, and manipulate locally-made learning aids which demonstrate key concepts. In each lesson, facilitators engage children in interactive games which make learning fun, and keep minds engaged. 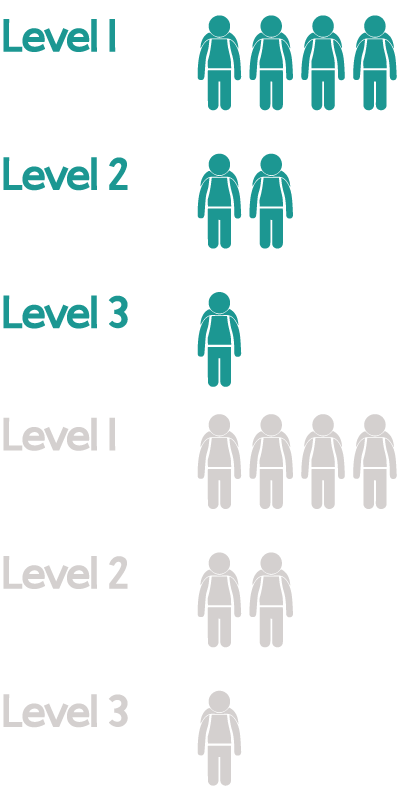 By grouping children according to their learning level, Roots to Rise addresses reality; all students learn at different paces. In order to maximize every students’ growth, this approach allows facilitators to provide appropriate support based on students’ unique abilities and learning needs.